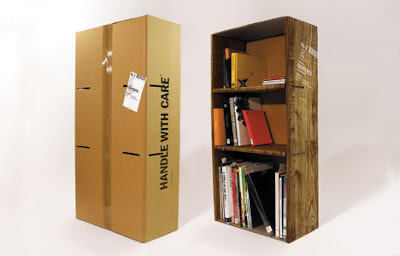 Collection of 'Creative Cardboard Products and Designs' from all over the world. 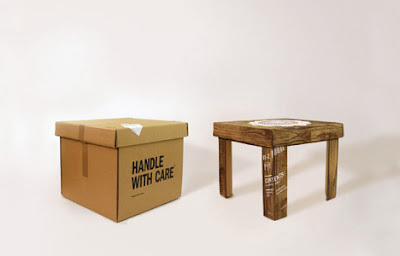 Cardboard Seating: The project 'Can Cardboard Cut It' is designed by Tim May. 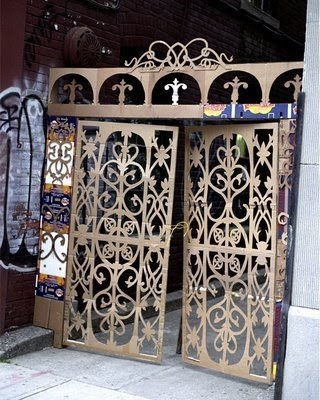 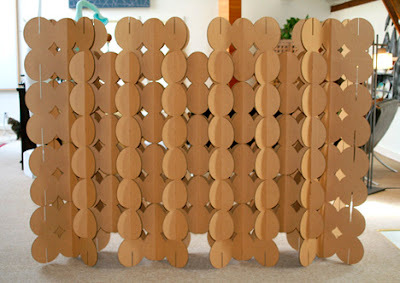 Cardboard Room Divider: It's a part of Cardboard Products by Ben Blanc Studio; the room divider comes in a set of 50 pieces. 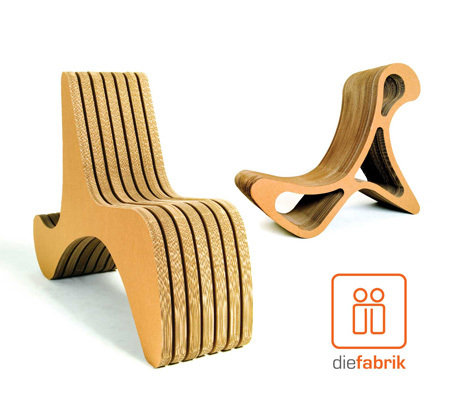 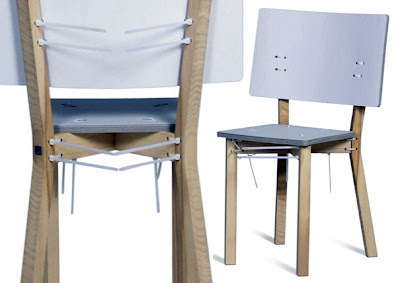 Cardboard Chairs: These cardboard chairs come from CardboardDesign. 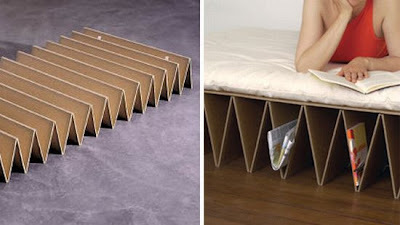 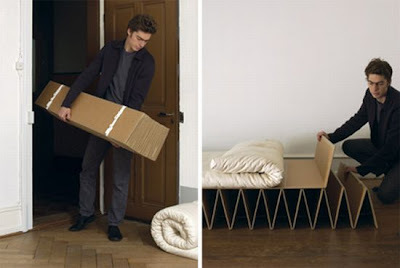 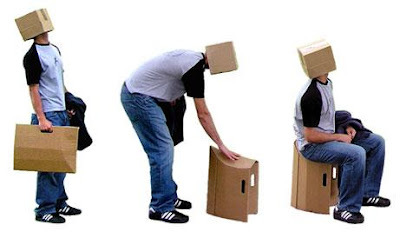 Cardboard Comfort: It is an ingenious design by SNURK. 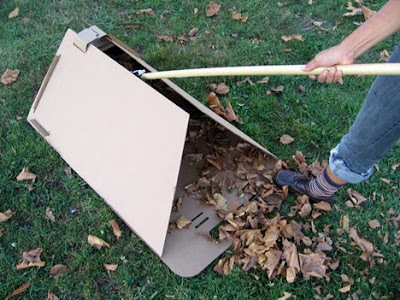 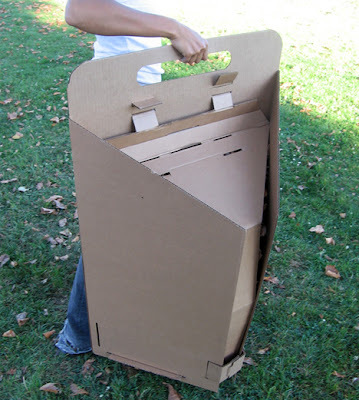 Rake and Take: The Rake and Take is a cardboard composter by L Morton. 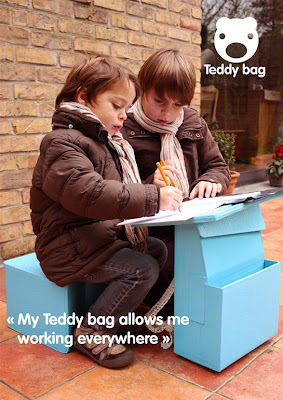 Perfect Perch: The Perfect Perch comes in 2 designs, these are lightweight, extremely strong, waterproof and easy to transport when folded. 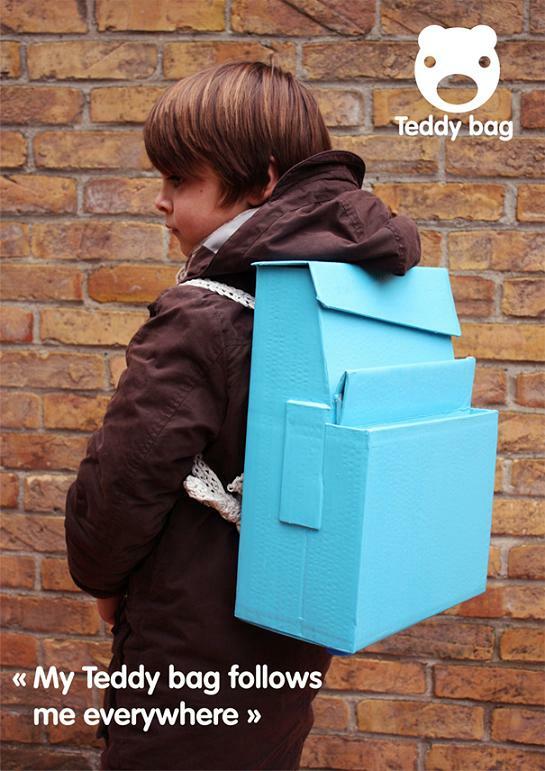 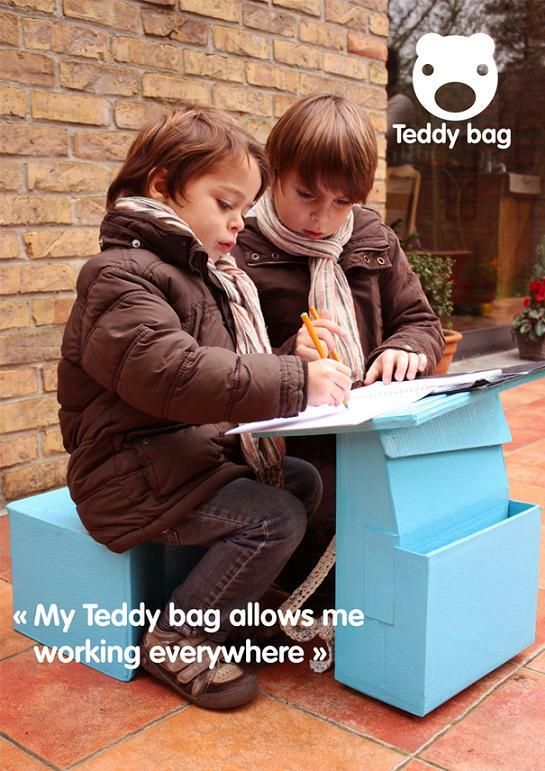 Teddy Bag: It's a school bag that doubles as a desk. 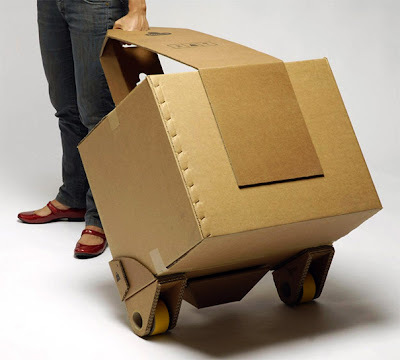 Move-it Kit by D Graham: It's strong enough to take in up to 20 kgs, it consists of a set of wheels and two different types of handles that allows you to move boxes of almost any size and shape. Zipfred Chair: Designed by Viktor Matic, it's made of cable ties, 6 wooden elements, and 20 layers of cardboard. Desk Lamp by Terkel Skou Steffensen: This desk lamp beautifully combines Scandinavian design simplicity with Japanese folding functionality. 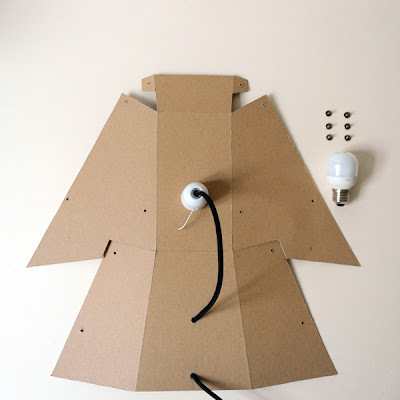 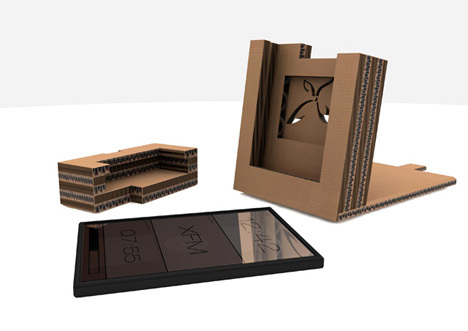 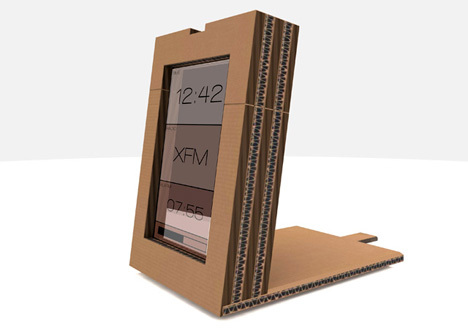 Cardboard Clock: It's constructed from its own packaging materials. 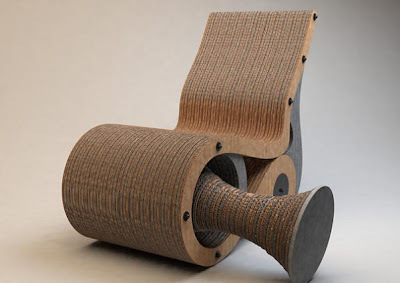 Rotating Chair: The Chair 777 is made of 100% reused cardboard; it can be rotated into three different ways. 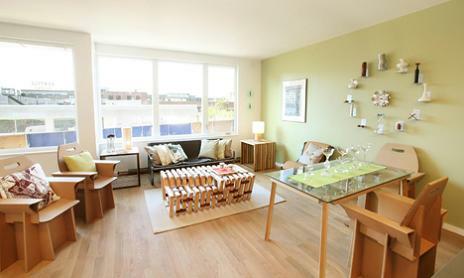 90° Furniture: The 90° Furniture consists of 4 parts - work unit, sitting and sleeping unit, cooking unit and storage unit. 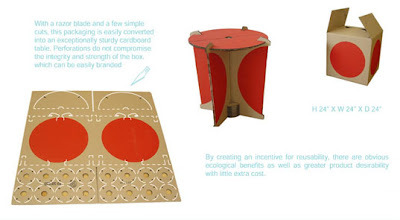 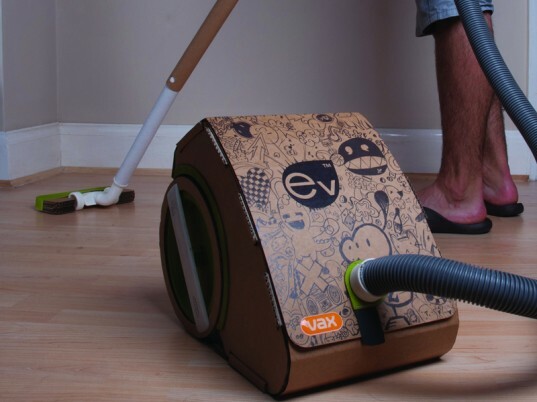 Vax's Cardboard Vacuum: This cardboard vacuum cleaner by Vax, is constructed from its own packaging materials. 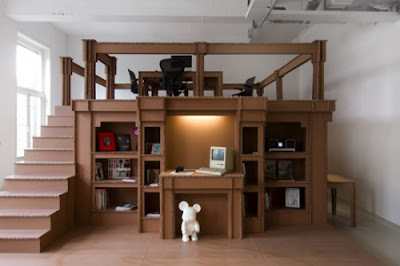 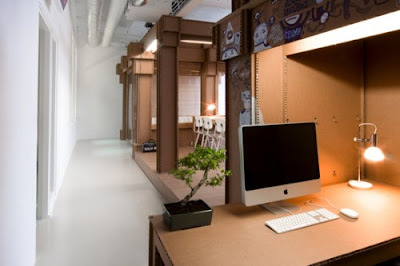 Nothing's Cardboard Office: This is the office of Amsterdam based Creative Agency Nothing, an unusual construction that is almost entirely built out of cardboard. 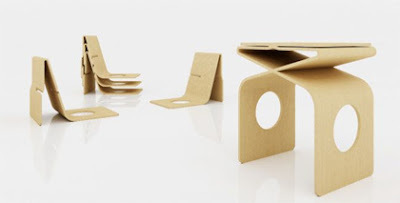 Portable Cardboard Art Table: This lightweight, portable cardboard table designed by L Reykjavik is an ergonomic plane to work on. 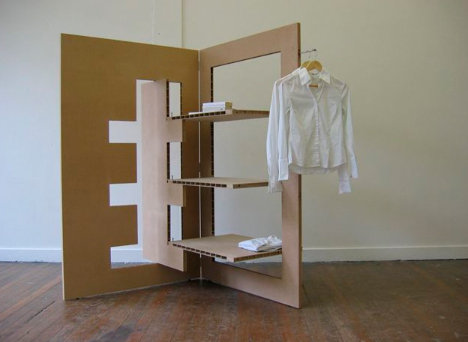 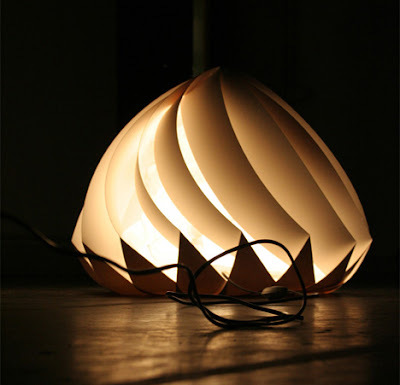 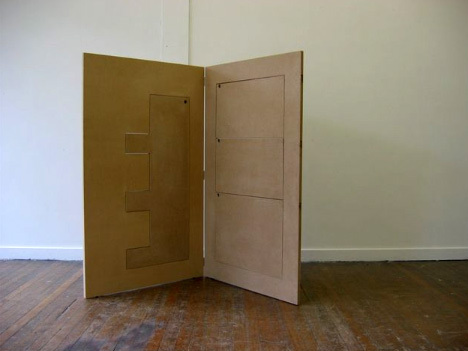 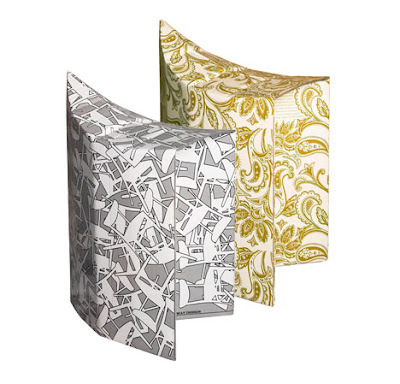 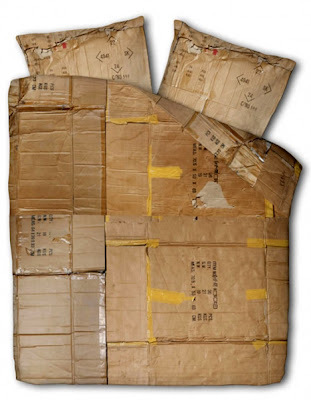 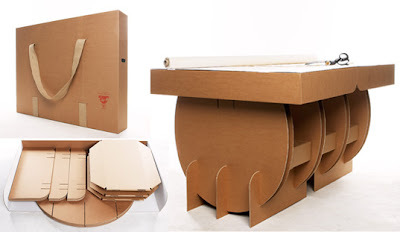 Idea's Cardboard Products: These products are cardboard construction that opens and constructs into itself. 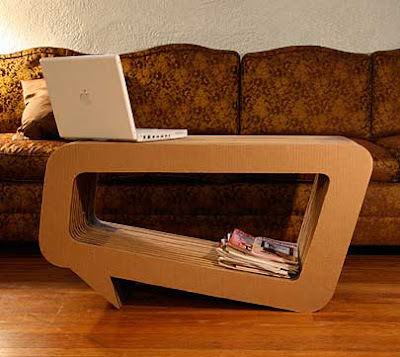 Speech Bubble Cardboard Coffee Table: Speech Bubble cardboard coffee table by L Kempf. 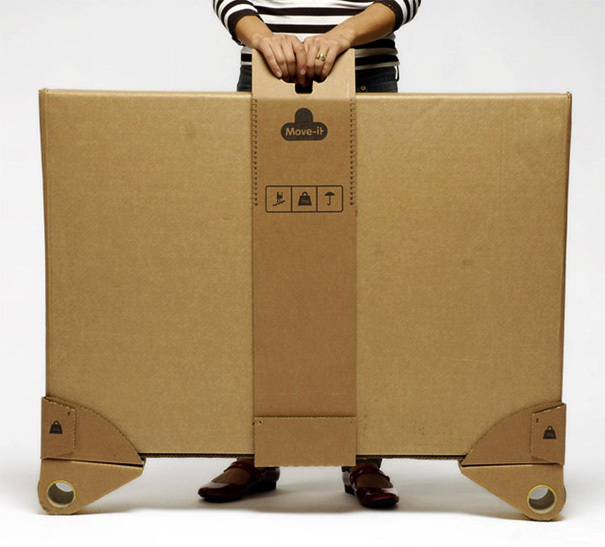 Cardboard Art: Chris Gilmore created these life size sculptures of cars, motorcycles, bicycles, guitar and more from cardboard. 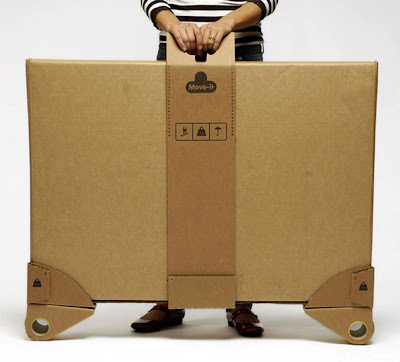 15 Creative Waterproof Gadgets and Products - Part 2. 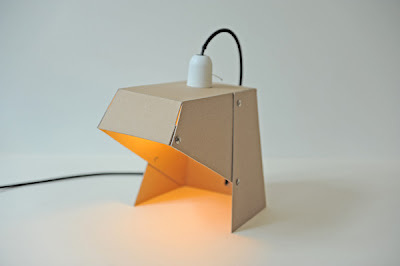 15 Creative Projectors and Unusual Projector Related Designs and Concepts.